Does buying a home with no money down — or 6 percent down or less — sound too good to be true? 60 percent of first-time homebuyers do it this way. That’s right. The Los Angeles Times reports, “The 20 % mortgage down payment is all but dead.” 60 percent of people buying their first home make a “typical down payment” of 6 percent or less. Also, 54 percent of all buyers are forking up less than 20 percent. Meanwhile, zero-down mortgages have become more and more common. We used to call the less-than-20 percent or no money down mortgage a “loser loan.” Now, times have changed. With rents steadily on the rise, stabilizing your housing payment makes sense. Buying a home is a huge responsibility and it can be a great investment. But, there are so many big questions: how can I buy a house with no money down? Is it really that easy for first time home buyers? Is there such a thing as a no down payment mortgage? Can I actually buy a house with zero down? We’ve set out to answer those questions for you. Government programs like USDA, FDA, and VA loans, can make the dream of homeownership real for many. 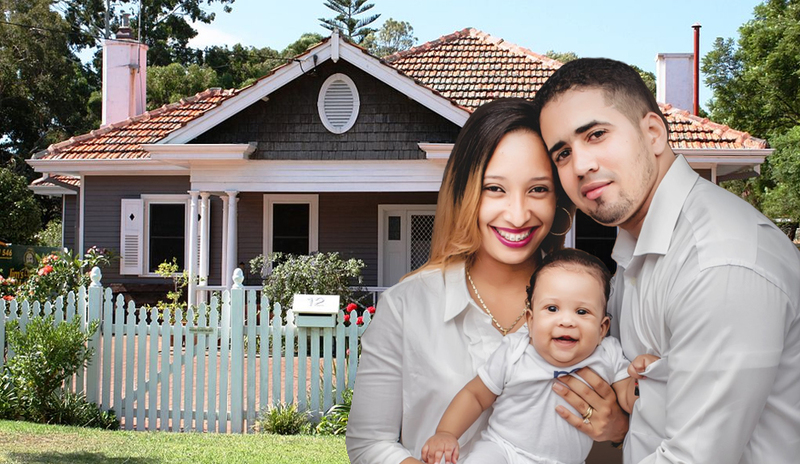 FHA home loans can help many first time homebuyers. For others, conventional loans with lower down payments and private mortgage insurance (PMI) may be the way for you to go. Adjustable-rate mortgages (ARMs) can also work in some situations. So. … what kind of credit score do you need, what options are available, and what’s the best way to get out of your rent trap? It can all seem overwhelming, but we’re here to walk you through it. You’ll be surprised by how many way you have to get into a home with little or no money down. According to USA Today, “homeownership in the United States has fallen to a generational low.” This is mainly due to the hurdle of coming up with a down payment. For millennials, the toxic combination of student loans and stagnant wages make this a challenge. Yet you’ve already proven you can handle your monthly PITI (principal, interest, taxes, and insurance) payments. After all, you’re already paying the same or more in rent. With loans requiring up to 20 percent down after the 2008 crash, owning a home was simply out of reach for many of us. Fortunately, there are now ways to get conventional loans for under 4 percent down. But, 4 percent can still be a lot. Yet we’ve tracked down ways to get a home with a low or zero down payment mortgage. Hopefully, one of these will work for you. For each of the options below, we’ve included all of the special requirements for the loans. In addition, we walk you through how to apply, the minimum credit score needed, and limits. The tweet below is an ad from a mortgage broker in Florida, but the facts are basically right. Buying a home for no money down is easier than you think. And if you don’t qualify for a zero down mortgage, chances are there’s a low down payment program for you. What it is: The US Dept. of Agriculture makes loans to buyers who do not already own a home in rural areas. They’ve got income restrictions, and require good credit. Yet this program is perfect for buying a home in a rural area. Don’t let the term “rural” throw you off, though. A surprising number of non-rural areas are eligible. A USDA loan guarantees 90 percent of the loan to the lender. How to apply: You need to apply for a USDA Loan through an approved lender. If you can’t find a participating lender, contact your state’s Guaranteed Loan Coordinator and they’ll help you find one. To see if the home you want qualifies, the USDA website lets you search eligible addresses. Minimum credit score: The magic number is 640 for an easy approval. However, you can get a manually underwritten loan with a lower score. Usually, though, you won’t get away with a credit score under 580. What it is: The US Dept. of Veterans Affairs backs these no downpayment mortgage loans. They help active duty service members, veterans, and qualifying surviving spouses buy homes with no money down. Also, they help lower up-front closing costs. Eligibility and costs vary based on the years a person served, their “service character,” and the branch they served in. But in general, these loans have lower interest rates and don’t require PMI. Funding the loan incurs costs, but you won’t have to pay them upfront. The bank usually adds them to the total of the loan. How to apply: Contact the Department of Veterans Affairs. Minimum credit score: According to Veterans United, most lenders require a minimum credit score of 620 to qualify for a VA loan. There is no legal minimum, but that is well below the 740 score that most traditional loans require. Limits: To be eligible, you must have satisfactory credit for the lender, sufficient income to meet the expected monthly obligations, and a valid Certificate of Eligibility (COE). Many of those who’ve served and their families don’t know VA loans are available to them. What it is: Navy Federal offers a sweet first time home buyers’ package to those who qualify. Their website lists their “100% Financing options,” (no money down, by any other name) as follows. Navy Federal Credit Union home loan advantages. How to apply: To find out if you pre-qualify, you have to be a member at NFCU. Who qualifies for Navy Federal Credit Union loans? Anyone who’s served as described on the list below can join and apply. So can or immediate family members of those who have served, or who are Navy Federal Credit Union members. Minimum credit score: This number is hard to pin down. But in general, NFCU requires credit scores of 680 and above. Limits: You really need good credit to get this great loan, plus you need to qualify for an account. If you do, however, meet the criteria, this is a great option. What it is: When you’ve got good credit and have a decent income, but still can’t save, you’ve still got options. Down payment assistance programs can help you leap that last hurdle on your way to owning your own home. If you didn’t know these programs existed, you’re not alone. 70 percent of Americans don’t know about this mortgage secret. Grants: Grants are funds that you do not have to pay back as long as you own and occupy your home for a certain period of time. Second mortgage loans: You can sometimes take out a second mortgage to provide the down payment for the first mortgage. State and local governments offer these loans with low or zero percent interest rates. Plus, they often defer payments and, in many cases, completely forgive the loan over time. Tax credits: Certain states and local governments, including housing finance agencies, issue mortgage credit certificates, which reduce the amount of federal income tax you pay. This makes more money available upfront for your down payment or closing costs. How to apply: Your lender is the best place to find out more about how to apply, but you can explore down payment assistance options here. Minimum credit score: It depends on the amount of down payment you want to finance. Limits: Both you and the home you wish to purchase must meet the eligibility requirements. You can check your income against the program limits, here. What is the FHA? The Federal Housing Administration is an office of Housing and Urban Development (HUD). Despite their name, HUD doesn’t just help people in big cities. They provide support to all kinds of cities and towns across the U.S. They also see home ownership a cornerstone of healthy, strong communities. An FHA loan is insured by the government and can offer interests rates as low as a 3.5%. But remember: When you make a down payment of less than 20 percent, you’ll need to also pay private mortgage insurance premiums to pay mortgage insurance premiums which protect the lender. To qualify for an FHA loan, you’ll need the following. Minimum credit score of 500-580 depending on the loan. You need at least a minimum 580 credit score for down payment or a 3.5 percent down payment. Below that you will need to have at least 10% down. You’ll need a minimum credit score of 500-579 to qualify for a 10 percent downpayment. FHA-qualified lenders will use a case-by-case basis to determine your creditworthiness. Steady employment. Borrowers must have a steady employment history or have worked for the same employer for the past two years. Valid Social Security number. Borrowers must have a valid Social Security number, lawful residency in the U.S. and be of legal age to sign a mortgage in your state. Minimum 3.5 percent down payment. Borrowers must pay a minimum down payment of 3.5 percent. The money can be gifted by a family member. You have to live there. New FHA loans are only available for primary residence occupancy. FHA appraisal. Borrowers must have a property appraisal from a FHA-approved appraiser. FHA borrowers also need to meet the following standards. Front-end ratio of less than 31 percent. Your front-end ratio (PITI plus HOA fees) needs to be less than 31 percent of your gross income. You may be able to get approved with as high a percentage as 40 percent … But your lender must provide justification to explain why they think you’re an acceptable risk. The lender must also include any compensating factors used for loan approval. Back-end ratio of less than 43 percent. Your back-end ratio needs to be less than 43 percent of your gross income. That means your mortgage, credit cards, student loans, and other payments need to be 43 percent or less. You may be able to get approved with as high a percentage as 50 percent. But, your lender must provide justification and explain why you’re a good risk. Property must meet minimum standards. The property must meet certain minimum standards at appraisal. If the home you want to buy doesn’t meet these standards, don’t give up. See if you can get the cost of repairs added to the sale price. Bankruptcy or Foreclosure? No problem. Many of us have suffered an ill-timed layoff or health emergency. But that won’t doom you to handing over your hard-earned cash to your landlord forever. Now that your situation’s improving, you can take steps to raise your credit score. And before you know it, you’ll be able to buy again. Once you’re two years out of a bankruptcy and three years out of foreclosure, you can get an FHA loan. Two years out of bankruptcy. You need to be two years out of bankruptcy and to have good credit in order to buy a home again. Three years out of foreclosure. You need to be three years out of foreclosure and have re-established good credit. FHA lenders sometimes make exceptions for certain circumstances. What Is PMI? Private Mortgage Insurance, which is required by lenders when a down payment of less than 20% of the value of the loan is paid. The insurance is considered to be expensive, but it will allow you to buy a home with less than 20%. Loan to Value (LTV) Ratio: When your loan is worth the same as your home, you have a 100 percent loan to value ratio. When you put 20 percent down, you have an 80 percent loan to value ratio. PMIs cover the lender in case you default on a loan with less than an 80 percent LTV. How to Avoid PMI: Have a down payment of over 20 percent. How to Get Rid of PMI: Generally, PMIs can be removed when the loan to value ratio hits 80% by request, but when your ratio goes below 78 percent the lender is required to remove it. You can also do any of the following, to get rid of your PMI. Adjustable Rate Mortgages (ARMs) with Life Caps…Are They for You? Advantages of Adjustable-Rate Mortgages: Adjustable rate mortgages usually start out with a fixed rate for a number of years, and that rate is generally lower than a fixed rate mortgage. This can give you several years to pay down the loan and have a lower rate. What Are Life Caps and Why Do I Want Them? : According to Investopedia ARMs come with caps. Those caps “limit how high the rate can be or how drastically the payments can change.” “Periodic” rate caps control the changes from year to year, but lifetime caps control “how much the interest can increase over the life of the loan.” There are also payment caps which control how much your monthly house payment can go up. They write these caps in dollar amounts, not percentages, so they should be easy to understand. Disadvantages of Adjustable-Rate Mortgages: The lender periodically adjusts the interest rates on an ARM based on current interest rates after the initial period. This means your rate can go up. That’s a a big deal when partial percentage points can seriously affect the amount you pay each month. Avoid ARMs with Negative Amortizations: “Negative amortization” is a mouthful, but what it means is simple. You need to make sure your loan payment covers all of your accrued interest each month. Otherwise, the missing amount gets added back to the original loan, and your principle gets higher with every passing month. Khan Academy explains adjustable rate mortgages. Featured image: Composite with CC0 Public Domain via PxHere and CC0 Public domain by Reg Summerhayes via Wikimedia Commons.